Storytelling Cards, a set on Flickr. 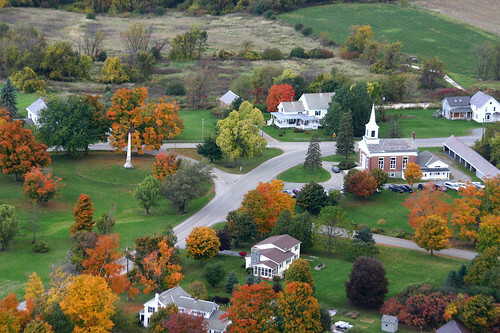 I live in a small village on the edge of a lovely Vermont college town. For the most part, people who live here, work here, which is what I did for some twenty years, traveling out of state as the exception — to give talks and workshops or to attend conferences or to go on vacation. When I moved out of higher ed and into community-change work, I also moved from working within Vermont to testing my theories and practices in communities across the country. I feel a bit like the itinerant bard, a migrant worker, moving from place to place as folks have need for my skills. And that’s a good thing. Being invited into foundations, academic institutions and geographic communities so distinct from one another puts my theories and practices to the test day after day. It keeps me alert, on my toes, seeking new ways to approach story, to weave it into the heart of community. It makes me listen carefully to the cultural context I enter and to respect it–I am merely a guide into the ways of story, not an expert on any specific community. My travels reinforce for me the power of being a generalist in this time of increasing specialization– I am a bit of a shape-shifter, seeking to match practice with context and need instead of branding a one-size-fits all approach to community building. 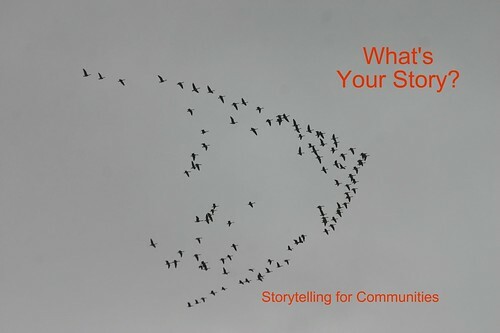 I come away from each experience convinced of the need to develop a whole bag of tools and strategies: network analysis, community mapping, story circles and interviews, digital stories, facilitated dialogue, deliberation, collaborative art projects. And to be able to weave them together. And revise them, listening deeply to the moment and the context and the need. As a result, I am constantly developing and tweaking materials, something I have just done yet again in prepping for a meeting/presentation with several foundations out in Portland, Oregon eager to bring storytelling to their grantees as a means of reporting and reflecting on their work and deepening it. Using MOO.com’s wonderful print services, I have made these slides into a card set to use in storytelling workshops. One thing to note–before discussing the hows of storytelling, workshop participants read my essay on the whys of storytelling. It saves time and obviates the need for lecturing on theory and history! We can jump right into discussion and exercise–experiencing the power of story as we learn about it. Each slide has a brief explanation attached, but I have not yet written up the game rules and instructions–I want to try it out a few more times (this is the fourth version) before posting it. But do let me know if you have questions or feedback or if you would like a look at the storytelling card game. I’d love to hear from you!